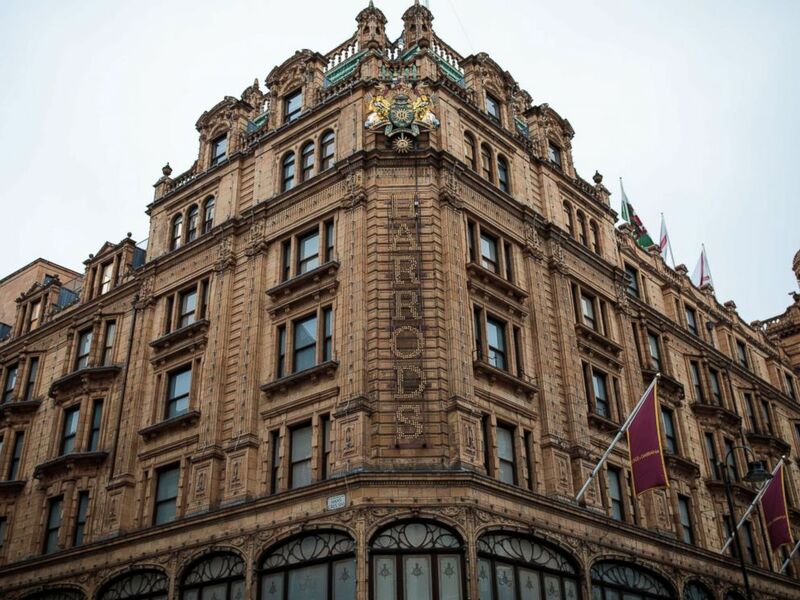 A woman is battling corruption charges in London after allegedly racking up $21 million at Harrods department store using 35 credit cards during a decades-long spending spree. Zamira Hajiyeva, the wife of a jailed banker from Azerbaijan, is being asked to explain her "unexplained wealth" thanks to a new anti-corruption enforcement scheme designed to target organized crime figures and others with foreign government ties. Unexplained Wealth Orders are designed to target individuals who are unable to account for £50,000 (U.S. $66,000) or more of their wealth and are a civil -- not criminal --action. Targeted individuals must be able to trace their income to a legitimate source or face severe financial penalties. The Harrods name is illuminated in lights on the front of the department store in Knightsbridge on Nov. 29, 2017, in London. At an earlier court hearing, a lawyer for Britain's National Crime Agency gave details of Hajiyeva's spending at Harrods, which allegedly included one occasion where she dropped £150,000 ($198,000) in a single visit. The National Crime Agency said Hajiyeva's spending amounted to $2.1 million a year between 2006 and 2016. Hajiyeva has denied any wrongdoing and is working to overturn the two Unexplained Wealth Orders, the AP reported. Her lawyers said in a statement that the issuing of the orders "does not and should not be taken to imply any wrong-doing, whether on her part or that of her husband," according to the AP. Her lawyers added that the order "is part of an investigative process, not a criminal procedure, and it does not involve the finding of any criminal offense," according to the AP. Hajiyeva used 35 credit cards linked to her husband's employer, the Bank of Azerbaijan, to finance her lifestyle, the AP reported. While she had previously been called "Mrs. A" in court filings, Hajiyeva had her named publicly released this week after she lost a court appeal to stay anonymous while she defends herself on two Unexplained Wealth Orders related to her spending and real-estate holdings. 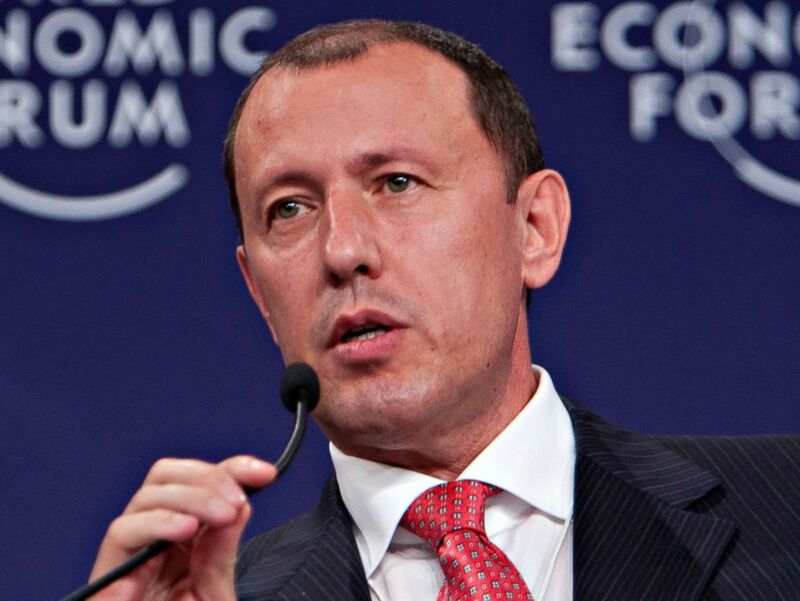 Hajiyeva’s husband is Jahangir Hajiyev, the former head of the state bank of Azerbaijan who was sentenced to 15 years in jail after being convicted on fraud and embezzlement charges in 2016, the Associated Press reported. File photo of Jahangir Hajiyev, chairman of the International Bank of Azerbaijan at the time, speaking during a session at the World Economic Forum (WEF) Annual Meeting of the New Champions in Dalian, Liaoning Province, China, Sept. 15, 2011. John Penrose was named the country's anti-corruption champion by Prime Minister Theresa May in 2017. He said the Unexplained Wealth Orders are the start of a crackdown on money laundering in the U.K.
"Nobody knows precisely how much dirty money is trying to be laundered through Britain because London is one of the biggest financial centers in the world," Penrose told ABC News. He added that it "only takes a fraction of 1 percent of that to be dirty to be a large figure." Unexplained Wealth Orders have "the potential to significantly reduce the appeal of the UK as a destination for illicit income," Donald Toon, the director for economic crime at the National Crime Agency, said in a statement. "They enable the U.K. to more effectively target the problem of money laundering through prime real estate in London and across the U.K.,” Toon added, "and we will now seek to move further cases to the High Court." Hajiyeva's property in the wealthy London area of Knightsbridge is also under investigation, according to the National Crime Agency, which said it was bought through a company registered in the British Virgin Islands, a well-known tax haven. The property is valued at £11.5 million, or more than U.S. $15 million. A second, first-of-its-kind Unexplained Wealth Order was also filed in relation to her ownership of a $13.5 million golf course, purchased through a different company. The anti-corruption charity Transparency International sent ABC News documents that they say identify £4.4 billion worth of property bought with suspicious money in the U.K. The charity said that there are a total of 86,000 properties owned by companies in secrecy jurisdictions, meaning it is impossible to trace who owns them. Penrose said transparency is key, saying that he is in favor "properly transparent register" for offshore companies, which is set to be introduced in 2020. "I’m a huge supporter of publishing a list of anybody who has been found guilty of corrupt offenses," Penrose said. "We know some of it, but we need to know more," he added. ABC News' Kaelyn Forde contributed to this report.